Happy New Year (a late Merry Christmas)! Welcome 2015! 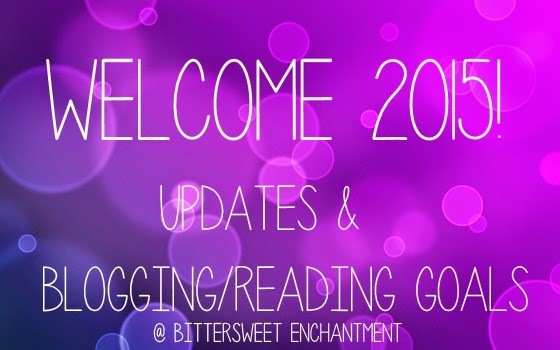 We at Bittersweet Enchantment are excited about this new year in books and of course blogging. Last year was pretty rough for me (Beckie) as far as my health was concerned. I needed to take a lot of time off to rest and heal. Which I feel really took a toll on my blog. I just know that 2015 will be better and have a lot more going on. I had a really nice holiday with family and friends. I actually didn't get any books for Christmas this year (besides the ones I purchased myself) ;) I received a lot of awesome gifts from my family for Christmas, one in particular has already gotten a lot of attention, my new PS3! The first 3 days I pretty much LIVED on it! Anyhoo, 2015 is here and I'm hoping it will be a fun and productive year. Read 125 books in 2015. I've already add my goal on Goodreads. Take notes more often for review books. Finish reviews for all book that weren't reviewed in 2014. I have a bad habit of reading a review book (arc) and forgetting to review it or putting the review off. Review books within one week of reading them. Take notes during reading, and after. Stop striving for perfection and just try my best. When I review a book I am too focused on trying to put my feeling into the best possible wording that I end up taking hours to review a novel. Hence, this makes me not want to review books. The review doesn't need to be LONG to capture my feelings accurately. Make a ARC/Review list each month. Listing what books need to be reviewed, and when. Clean up email inbox. Deleted old mail, update labels, do email replies asap. Clean up sidebars, re-organise pages (especially reviews, giveaways, and book challenges) and make an advertisement page. Unsubscribe to touring companies I don't partake in and be more active in the ones I do use often. Schedule more posts, more often. Have more discussion posts and more original content. 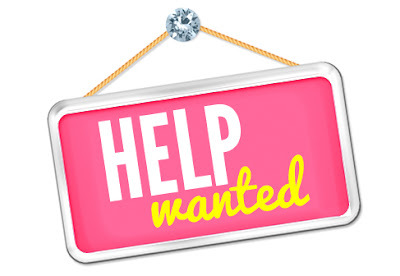 Email more publishers and authors to promote books on my blog. This one is a big one also for me because I hate the feeling of being turned down or getting no reply, so often times I wait for them to come to me. Update my blog more often, and I don't mean posts. 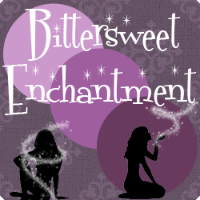 Picking giveaway winners sooner (yes, I'm aware I still need to do a couple from 2014), updating my reading goals, giveaway page, and more. Just being more up to date with everything. Visit and comment more on other blogs. 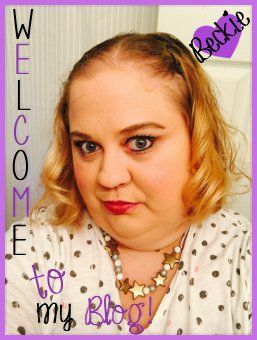 Make new blogger/reading friends. I'm getting started right now. Me and my co-blogger set up some goals for this year too. We jumped back into blogging in May and we were a total mess. We have simiar goals too. Good luck!